UT Southwestern is widely recognized as a leading clinical and research center for the accurate diagnosis and effective treatment of conditions related to the endocrine system. In addition, our Diabetes Self-Management Education Services program provides education and resources to help patients with Type 1 and Type 2 diabetes effectively control their diabetes and reduce or eliminate complications. Learn more about our diabetes management services. Our specialists are recognized authorities in the diagnosis and treatment of infectious diseases in children and adults. Our lipid metabolism specialists are experts at diagnosing, treating, and providing ongoing management for patients who have problems with cholesterol and triglyceride levels. UT Southwestern is a leader in both genetics research and the treatment of genetic disorders. We also perform genetic screenings based on family history and provide counseling for genetic disorders. Nutrition plays a vital role in the management and prevention of many illnesses. Our Registered Dietitian Nutritionists (RDNs) have achieved extraordinary results in helping patients regain health and improve quality of life. Our physicians and dietitians collaborate to help patients implement dietary changes. We offer a comprehensive assessment of nutritional needs based on diagnosis, laboratory test results, physical evaluation, and dietary history. Our RDNs assess a patient’s condition and current diet in order to make individualized recommendations for practical, specific dietary changes, then carefully monitor patients to review progress and modify dietary recommendations as needed. 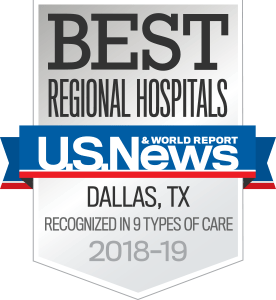 UT Southwestern is widely recognized as one of the nation’s leading clinical and research centers for rheumatic diseases, including rheumatoid arthritis and systemic lupus erythematosus. On the day of the appointment, please arrive 30 minutes early to allow time for parking and registration. We will do our best to see you at your scheduled appointment time. To facilitate ongoing communication, we recommend patients sign up with MyChart, which allows patients to communicate directly with doctors, request prescription refills, update contact information, view test results, and request clinic appointments. Sign in or sign up for MyChart. For a seamless patient experience, the building has a patient service center that can draw blood for all orders that might be ordered at the appointment. If you need to cancel an appointment, please call the clinic 24 to 48 hours in advance so that we can accommodate other patients who might be waiting for an appointment.